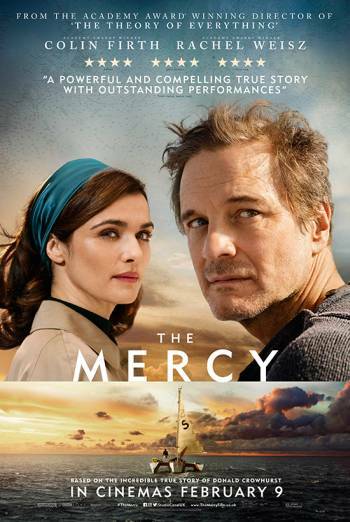 Summary THE MERCY is a British biographical drama in which an amateur sailor attempts to cover up his failure to complete an around-the-world boat race. There is a scene of discreetly implied suicide, followed by brief, non-graphic verbal suicide references. A character experiences symptoms of mental illness including brief hallucinations. Blood is seen on a man's hand after he accidentally cuts himself with a knife, and there is a non-graphic sequence in which he lances a boil on his forehead.